Touring the city of Cusco by day is one of the best cultural experiences in the world. But at night, the streets of Cusco are bathed by a soft yellow light that illuminates the old colonial houses. On the outskirts of Cusco, the lights are lost to give way to a black sky, framed by some mountains that surround a city at 3,300 masl. Although the Main Square of the Cusco is one of the most amazing night views of the city, there are people who are more interested in the sky, than a city whose streets were built in the shape of the constellations of stars above it. If you have already booked the Machu Picchu tickets and you are on your way to Cusco, it is highly recommended that you take time to visit the “Planetarium Cusco”. 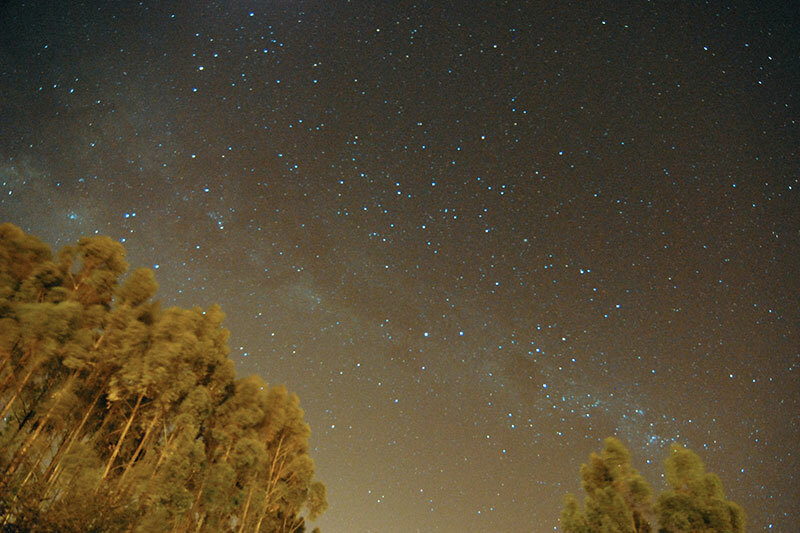 Observing the stars under the sky of Cusco is one of the best experiences for groups of friends or entire families. In addition to providing an educational glimpse of how the Incas interpreted the stars. He knew, for example, that the constellations of the Incas are not the stars themselves or the forms that form with them, but rather the spaces between them. It is possible that The Planetarium Cusco is the most original planetarium in the world ; is located fifteen minutes from the Historic Center of Cusco. But it is not only an astronomical observatory, but it is a center of interpretation of the Astronomy of the Incas; dedicated to the skies of the South and surrounded by nature. Cusco was the capital of the Inca empire, about 10 million people lived in this city during the time of Tahuantinsuyo (empire of the Incas). Keeping a city of that size even now is difficult; but the Incas did it in the middle of the Andes Mountains to almost 3,500 on the level of the sea, in one the most injured geographies of the planet. But for this to succeed they connected deeply to the Pachamama (Mother Earth), so that it could be compared to the Pandora natives in the movie Avatar. They never had a writing system, but they were able to determine exactly how to face one of the territories with one of the most changing climates on the planet; for it they constructed buildings dedicated to their maximum deities, the Sun, the Moon, the Stars; such as the Temple of the Sun or the Temple of the Moon in Machu Picchu . But some of them are not only dedicated to these deities, but could accurately determine their movements, allowing them to predict weather patterns that included phenomena such as El Niño. And as we know today, this is only possible by monitoring the position of the earth in relation to the stars of our solar system. You can close your visit to Machu Picchu in Cusco, with the sky of Cusco. You can join an organized group and take a tour of the Cusco Planetarium. In most cases the visits to the Planetarium begin in the Plaza Regocijo del Cusco. After a 20-minute journey you will arrive at the planetarium; here you can learn about the sky on this side of the world, and about the Inca’s knowledge of it. You can see the sky of Cusco through huge telescopes. It is true that modern instruments make it very easy to observe the stars, but to see them from the point of view of the Incas, is more a feeling of humility, before the enormous space that surrounds us and that we do not know, although not completely. The visits to the Planetarium Cusco end around 20:00 hrs, so you have time for some fun; Cusco nights are something not to be missed. If you are going to visit the Cusco Planetarium, try to do it on a day when the sky is clear (check weather pages). You can get amazing views of Jupiter, its 4 moons and its binary system (a group of stars spinning close to it). After a little explanation of how the Planetarium Cusco started, there will be a detailed explanation about what the sky and stars meant for the Incas. After these explanations, you will go to another room where they will explain how the Incas used the stars to draw their cities and make their weather predictions. The last part of the visit takes place in the dome; here the lights go out and will delight in a show of constellations and stars, before being taken to the last part of the visit … “Stargazing” (observation of the stars through a telescope). Contact Office: Lucrepata E- 16 – Attention from 9 am to 1 pm. Pick up (departures): 17:40, Plaza Regocijo. Price: S / 50 soles (US $ 15). Address: Llaullipata private eco-tourist reserve. Km 2 of the Highway to Sacsayhuamán in Cusco, Peru. The trip takes 15 minutes from the Plaza Regocijo in the Historic Center of Cusco. The tours last until 8 or 8:30 pm and end at the same place. If your group is large, you can ask for a discount on the price of the tickets.